Mr. Leo Michael Williams 64 of 380 Chester Road. Roseboro, North Carolina passed away on November 1, 2018 at the Sampson County Medical Center. 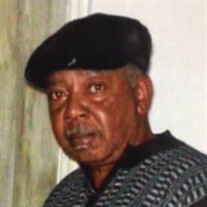 The family of Mr. Leo Michael Williams created this Life Tributes page to make it easy to share your memories.